We've been selling Ink Brick in the shop for awhile, and realized it was high time that we offered onlien as well. So, here we are! This issue features a new work by Copacetic favorite, John Hankiewicz -- in FULL COLOR (a first, to our knowledge). 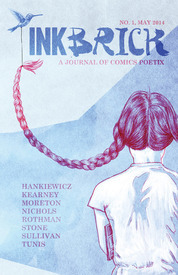 INK BRICK is a journal dedicated to comics poetry. 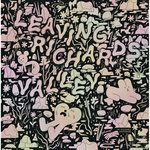 This first issue features work by 8 creators using the visual language of comics to make poetry. This debut issue measures 5.5" x 8.5" and contains 48 pages in full color. Believe it or not, this issue is now out of print. We have only one or two left..